Dental health for your pet is extremely important for the overall health of your pet. Without proper pet dental care, dental problems may lead to other health problems. Along with routine care at home, it is essential for your pet to have their teeth and gums examined annually by your veterinarian in Johnston. Gum disease is one of the most common diseases that occur in pets, so brushing is essential, but unlike humans, your pet cannot rinse and spit, so it is important to use veterinary recommended toothpaste. Prevention is the best way to reduce the risk of oral disease in pets. Regular brushing is the most important thing you can do to maintain good oral health for your pet. Although it may not always be possible to brush your pet’s teeth daily, brushing several times weekly can be effective in maintaining healthy teeth and gums. 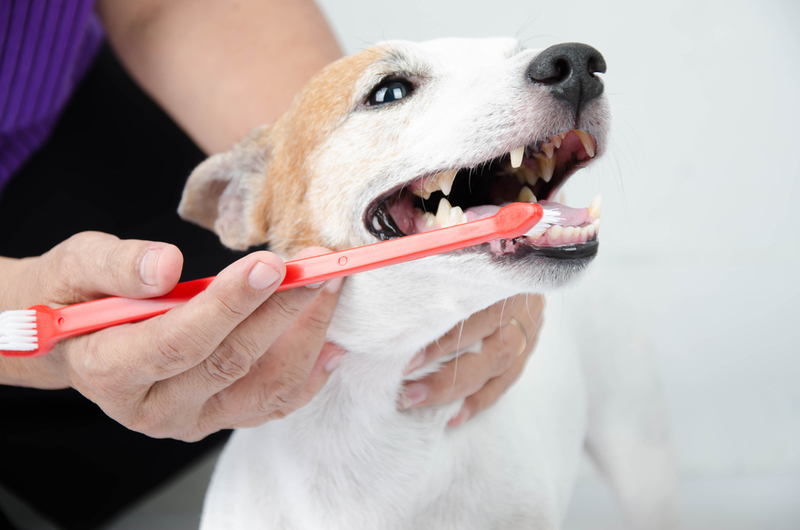 If you aren’t sure of the best way to brush your pet’s teeth, be sure to talk with your veterinarian for recommendations on how to accomplish brushing as well as the best products to use for your pet. Contact Rush Animal Care Clinic P.C. to Schedule Your Pet’s Dental Examination Today.